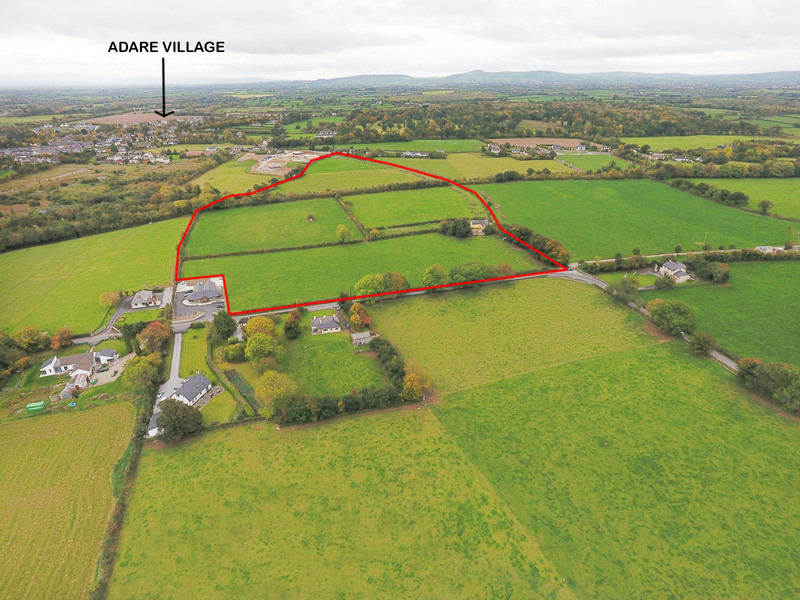 For Sale by Private Treaty A truly outstanding roadside holding extending to circa 26.5 st acres situated in this much sought after location just 1 kilometre from the hugely popular and picturesque village of Adare. 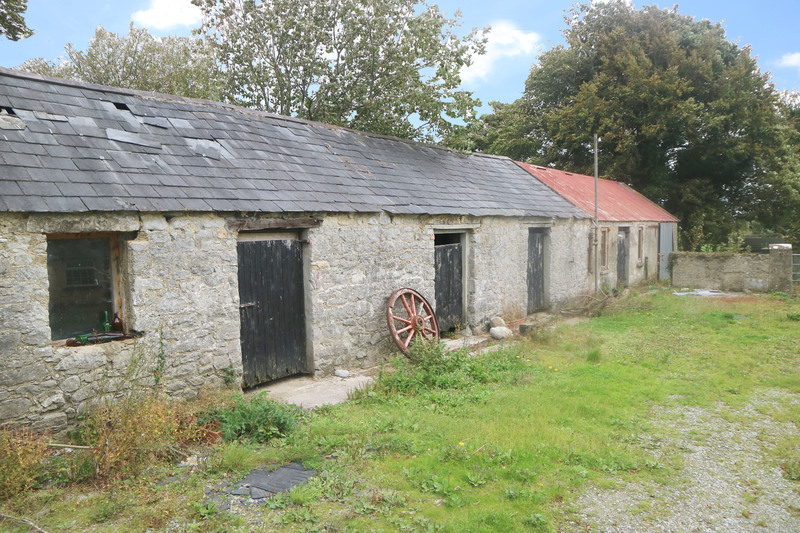 This unique property is for sale in one or two lots and has enormous potential for numerous uses going forward. 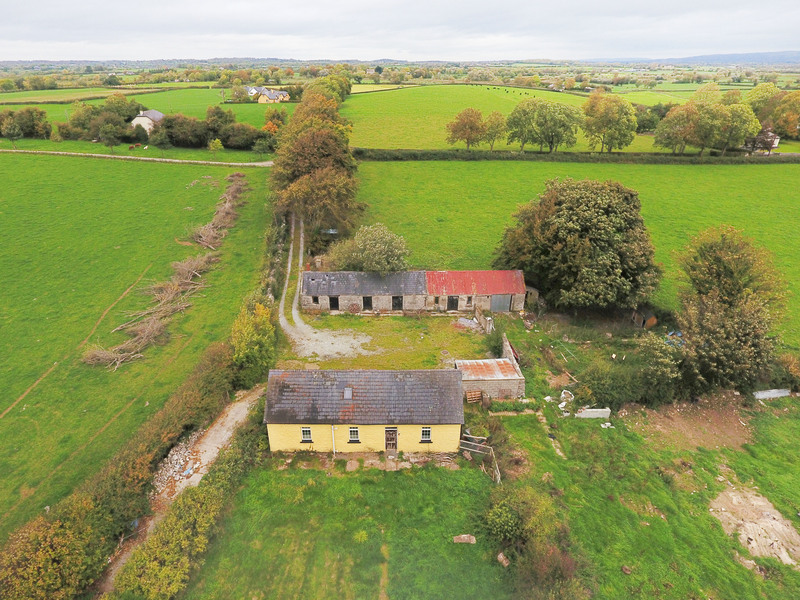 Lot 1 :- Circa 17.5 st acres together with farmhouse and out offices. 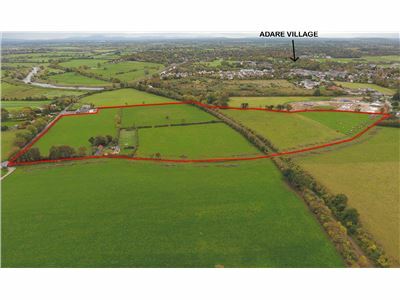 Lot 2 :- Circa 9 st acres of which circa 6 st acres is zoned residential and the remaining zoned agricultural. A wonderful development opportunity. 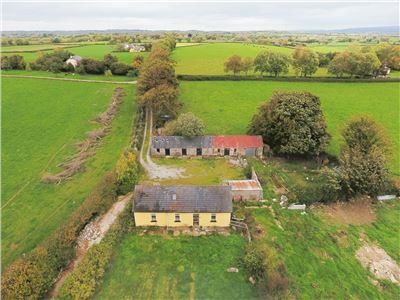 Full details on request call Tom Crosse on 087-2547717 or John O' Connell on 087-6470746 Solicitors :- Michael Noonan, MF Noonan & Co, Solicitors, Rathkeale, Co. Limerick. 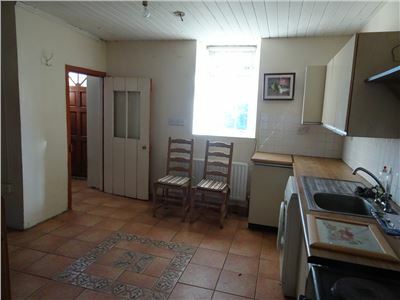 There is a dormer style farmhouse thereon comprising of sitting room, kitchen. 3 bedrooms and bathroom. Ancillary out offices and shed. 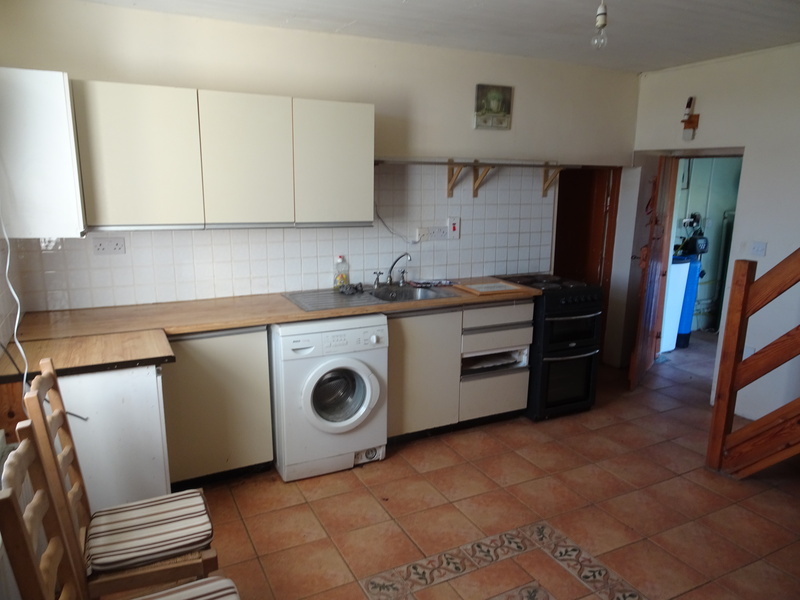 Kitchen 4.2 X 4.1 :- Tiled flooring, Fully fitted kitchen. Timber ceiling. TV point. Telephone point. 6 sockets. 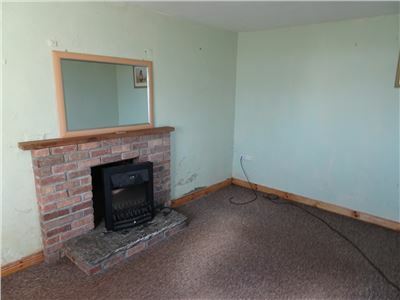 Sitting room 4.7 X 3.0 :- Carpet flooring. TV point. Open fireplace. 6 sockets. Bathroom 4.2 X 2.4 :- Toilet and whb. Bath. 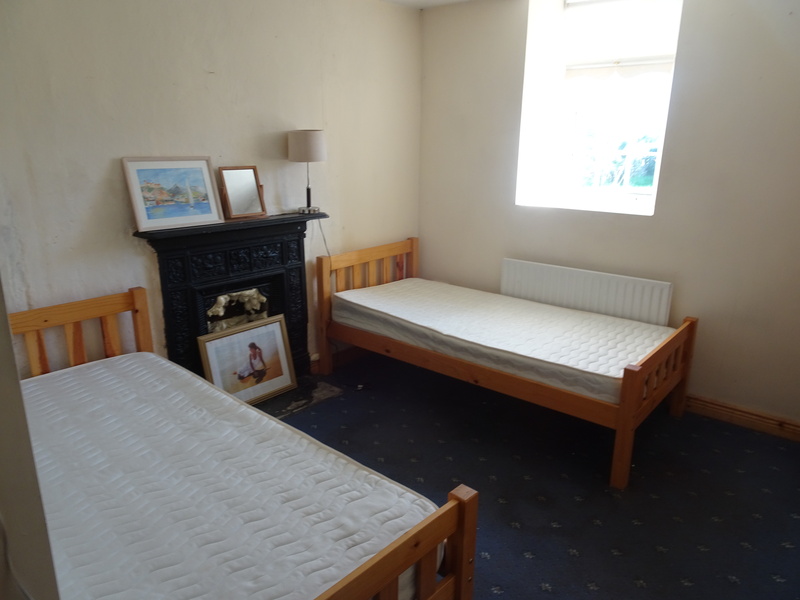 Bedroom 1 4.2 X 2.4 :- Double room with carpet flooring. Open fireplace. 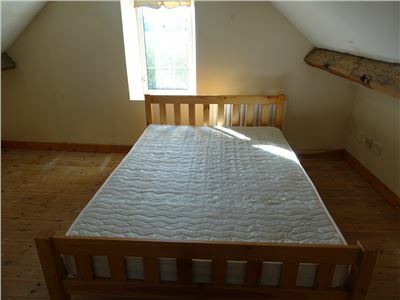 Bedroom 2 3.8 X 4.0 :- Double room with timber flooring. TV point. 4 sockets. 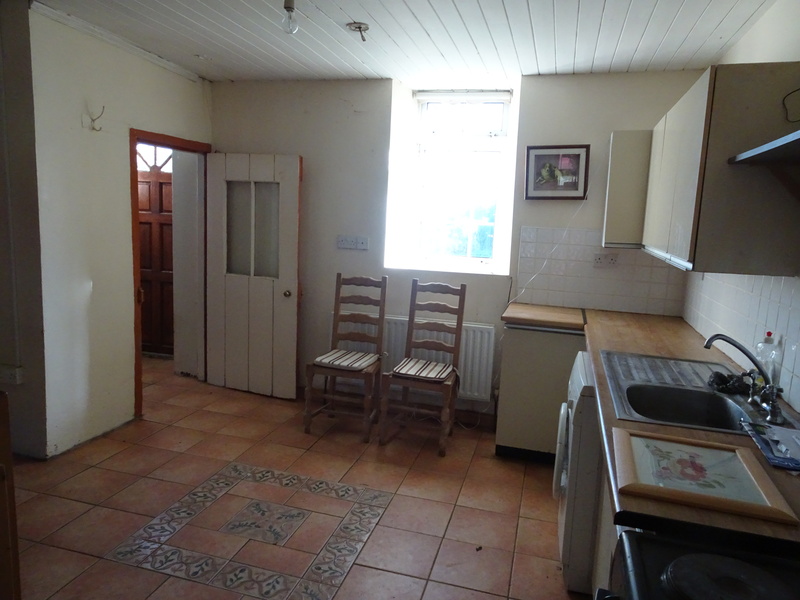 Shower room 2.4 X 1.9 :- Toilet and Whb. Triton Rally shower fitted. Bedroom 3 4.0 X 3.8 :- Double room with timber flooring. 2 sockets. 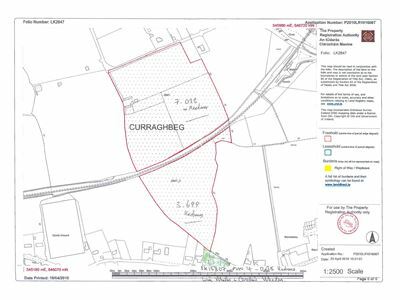 A compact and truly superb parcel of land extending to circa 17.5 st acres laid out in three main divisions. 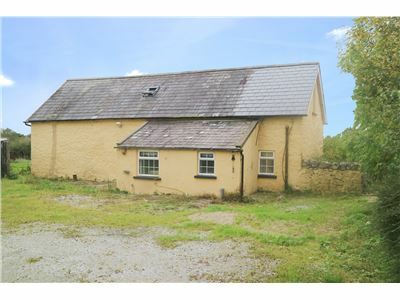 This holding enjoys extensive road frontage and has obvious site potential. 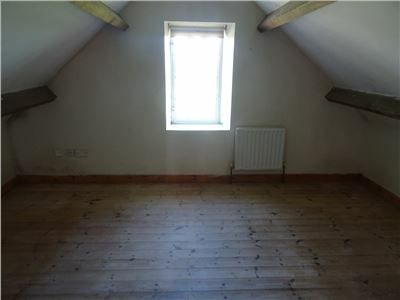 There is a dormer style farmhouse thereon comprising of sitting room, kitchen. 3 bedrooms and bathroom. Ancillary out offices and shed. Circa 9 st acres of excellent quality land. 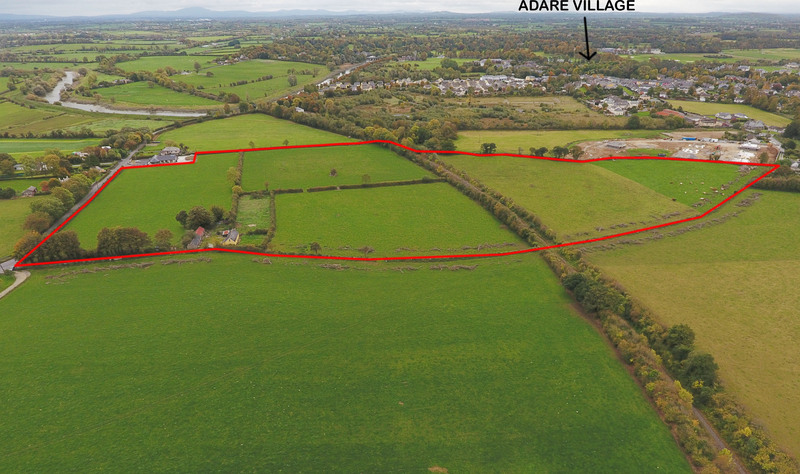 Approximately 6 acres of this holding is zoned residential in the local area development plan. 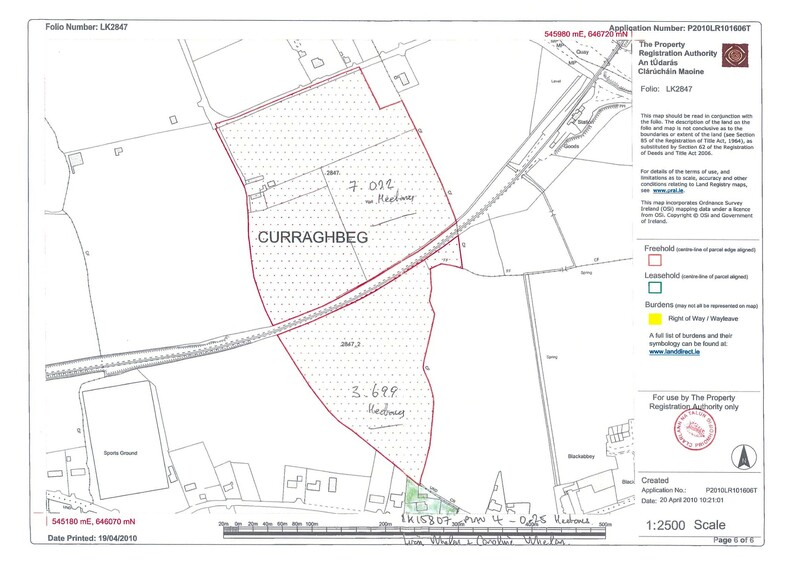 (Development already commenced in adjoining field). The remaining Circa 3 st acres is zoned agricultural. The Entire (Lot 1 and 2). 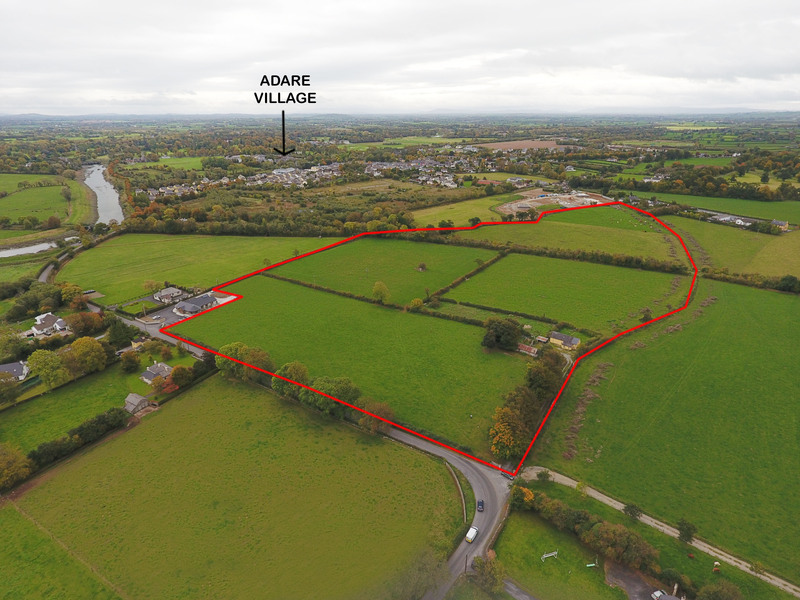 From Limerick City proceed out to Adare Village and turn right at the roundabout onto Station Road. Drive for approximately 1 kilometers. 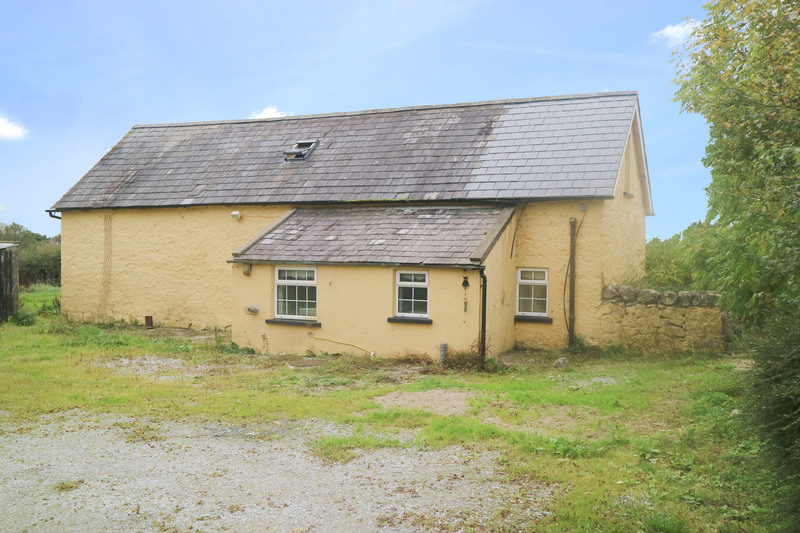 This holding is located on the left hand side just after Adare Veterinary Clinic. 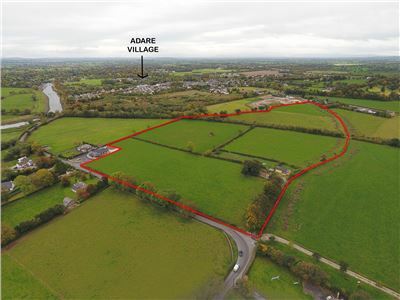 Co-ordinates 545577 - 646521 LOCATION :- This property is situated on the outskirts of the heritage village of Adare recognized as one of the prettiest villages in the country boasting a very high volume of tourist traffic and located just 15 km west of Limerick City. 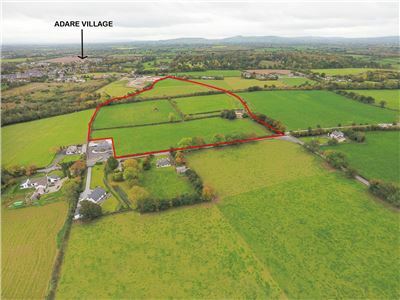 The village population is estimated at 2,500 with a street scape of enormous character, well serviced with Hotels, restaurants, Golf Courses, Shops, Boutiques and tourist associated retail houses.The now World famous Adare Manor Resort is just 5 minutes drive.